Strata Energy, Inc. is committed to a concept we refer to as “Community Energy”, a core belief of which is that a partnership is implicitly created with the communities in which we operate. To foster this partnership, Strata funds two scholarships available to students graduating from a Crook County high school or accredited home-school program. Other engineering such as civil, mechanical and electrical specialties, as well as geophysics may be considered. Through this scholarship, Strata seeks to create opportunities for young people in Crook County to pursue careers in the mineral industry and related fields. 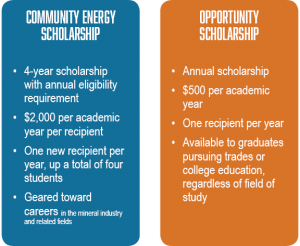 Click here to download the complete Community Energy scholarship criteria and application form. The deadline for submission for the 2019-2020 scholarship is May 1, 2019. *Other schools with robust programs in the stated fields may also be considered. The Opportunity Scholarship is an annual scholarship available to high school seniors graduating from high schools and accredited home-school programs located in Crook County, Wyoming. The $500 scholarship is awarded to one recipient per academic year. GEDs may be accepted on a case-by-case basis. The Opportunity scholarship is available to students pursuing higher education in any field of study at an accredited trade school, community college, or university. 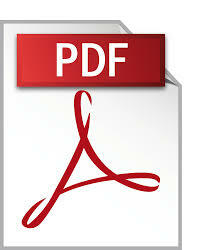 Click here to download the complete Opportunity scholarship criteria and application form. The deadline for submission for the 2019-2020 scholarship is May 1, 2019.